A devotional study of the life of Joseph, it is not only a thrilling family story but also a foreshadowing of the Saviour of the world. - Publisher From Joseph's boyhood days in Shechem to the highest place in Egypt, this drama from ancient times is instruction for today's living. 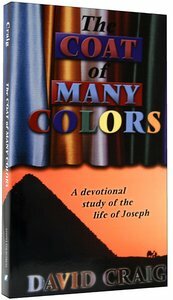 About "The Coat of Many Colors"
Craig teaches at Franciscan University in Steubeville, Ohio.